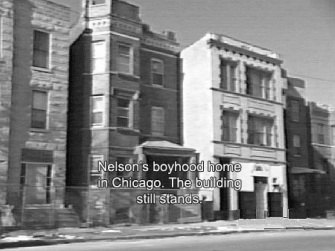 George "Baby Face" Nelson was born Lester Joseph Gillis on Dec. 6, 1908, in an area of Chicago known as "the Patch." He was the seventh child of Belgium immigrants Joseph and Mary Gillis. His father worked as a tanner. Gillis appears to have had a strong and loving family, but he took to the streets at an early age. School records show he was of average intelligence but he left school after the eighth grade. One of Gillis' earliest friends - and partner in crime - was Jack Perkins. They, and others from the neighborhood, were involved in a variety of petty crimes. Years later Perkins said Gillis, being the smallest in the group, would be responsible for creating a diversion at a store counter while the others would shoplift. By the time Gillis was 12 he was an accomplished car thief and in 1921, at the age of 13, he was arrested for car theft and sentenced to a year in a juvenile correctional facility. He was arrested again in 1922 on a similar charge; this time the sentence was 18 months. While in jail, Gillis' father committed suicide. Gillis, the only one of the family to take a criminal path, blamed himself for his father's death, and began using a portion of the money he stole to help his mother support the family. In 1928, he met a petite Chicago salesgirl, Helen Wawzynak. Gillis was captivated by her dark eyes and quick wit; she was taken with his confident style and boyish grin. They began dating, and within a year, despite her family's strong objections, were married. The couple would have two children. A son, Ronald, was born April 4, 1930, six months after their marriage. A daughter, Darlene, was born in 1932. The couple remained devoted to each other for the rest of their lives. They often traveled as a family, even when Gillis was hunted by law enforcement officials. Gillis, now calling himself "Big" George Nelson, was arrested and tried on a bank robbery charge in 1931. He was sentenced to a term of 1 to 10 years in the infamous Illinois State Penitentiary at Joliet. While serving his term, he was tried and convicted in the Du Page County Circuit Court of Illinois on yet another bank robbery charge out of Wheaton, Ill. This time, he was sentenced to a year to life. But as his prison terms began to add up, so did his plans for freedom. The train bringing him back to Joliet from his trial in Wheaton on Feb. 17, 1932, was late in arriving, and the prison car sent to pick him up had already left. Rather than wait for another car to be sent to the station, Nelson's guard decided to take him back to the prison by cab. When they were nearly there, Nelson produced a handgun and, pointing it at the guard's face, said "Don't give me a reason to kill you." He then ordered the driver and guard out of the vehicle and simply drove away. Where he got the gun was never firmly established, but it's commonly believed that Nelson's wife, Helen, planted the gun for him in the train station's washroom. After a brief stay in Reno, Nev., Nelson, using the names Jimmy Burnett and Jimmy Burnell, headed to Sausalito, Calif. There he met John Paul Chase, a small-time thief, bootlegger and smuggler. They took an instant liking to each other, and would be associated for the rest of their lives. They would become so close, that Chase would frequently introduce Nelson as his half brother. The pair worked as armed guards on underworld trucks transporting liquor and a variety of illegal or stolen goods, and were also involved in a number of robberies and hijackings. As would become his custom, Nelson would find a place to live in a quiet neighborhood and send for his wife and children. The family remained in California until May 1933, when Nelson moved them to Long Beach, Ind., where they lived for several months. It was in Indiana that Nelson met several bank robbers, including Charles Fisher, Earl Doyle, Tommy Carroll, Edward Bentz and Homer Van Meter. It's also believed Nelson met John Dillinger, during this period. It's uncertain, however, if Nelson met Dillinger through Van Meter or Alvin Karpis, a leading member of the Barker/Karpis gang, and an associate of Doyle.